The Medical Billing Service of Computer Applications Company, Incorporated (CACI) goes above and beyond the basic criteria for a qualified off site medical billing service. 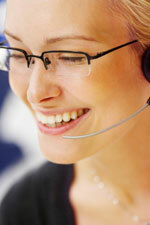 A Billing Service should have experienced, qualified personnel. CACI has specialized in medical billing since 1984. Our programmers developed the billing software that we use*, which ensures the staff’s complete understanding of billing procedures. We also keep current with the ever changing medical regulations. Proper equipment is a must. CACI has state-of-the-art redundant computer systems, which assures you of 100% up-time. Also, our copyrighted software can be tailored to suit your needs. A Billing Service should be independent (not be owned by another doctor/hospital). If a billing service is not independent, another doctor or hospital could know your patient base, procedures and/or reimbursements. CACI has been and always will be independent. A Service’s policies should be adaptable to suit your specific needs. CACI works for you, and will follow your procedures. We have the capability to tailor our system to suit your specific needs. You have worked hard to build up your practice. CACI will work hard to ensure your maximum reimbursements and maintain courteous and professional relations with your patients. Your patients should not feel that you have abandoned them. With our services, when your patients call in with questions, they will speak to and develop a relationship with a person that has been assigned to your account, not “the next available operator”. Also, a separate telephone number will be assigned to your account, which is printed on all documents we send out. You should remain in control of your practice. With CACI, you maintain control of your practice, but don’t expend any of your valuable time worrying about your billing. At your request, we can retrieve and collate virtually any report you need. You approve all adjustments and collection lists, and retain full control of all monies received. You should have access to view your patient accounts from your office or home. With our services, you have access to your patient accounts from anywhere in the world. Our secure, internet based patient account display system gives you the ability to view your patients’ demographic information, current transactions, and a complete transaction history of the accounts. * Medical Office Manager ©, Computer Applications Company, Inc. Copyright, 1984-2007.